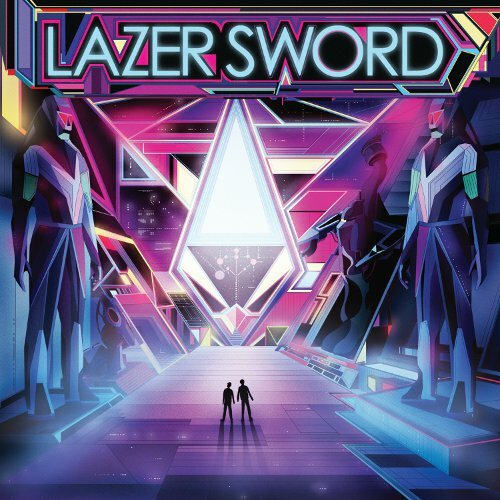 This will be the record of the year, there is no other option :)) Lazer Sword - the super talented combo of crazy beatmakers sampling lazers with hip hop and electro, usually in a soup of heavy bass and funky beats, will release their self-titled debut on 2nd November 2010 on the Los Angeles based label Innovative Leisure. CAN"T WAIT!!!!!!!!!!!!!!!!! The 15-track record will be released digitally, and as stunning four-panel gatefold double-LP. It includes contributions from a handful of Lazer Sword's favorite vocalists, including Turf Talk, M.Sayyid (Antipop Consortium), Myka Nyne, and Zackey Force Funk. The album artwork was designed by the incredible Kilian Eng / DW Design from Sweden. In October the duo will release a first single (digital and vinyl) - “Batman” featuring remixes by Nguzunguzu and Lando Kal with the flip side “I”m Gone” featuring Bay-area, hyphy legend Turf Talk. 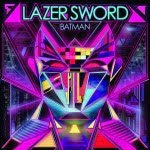 B-side has remixes by Rustie and Low Limit. Again, amazing artwork by Kilian Eng!